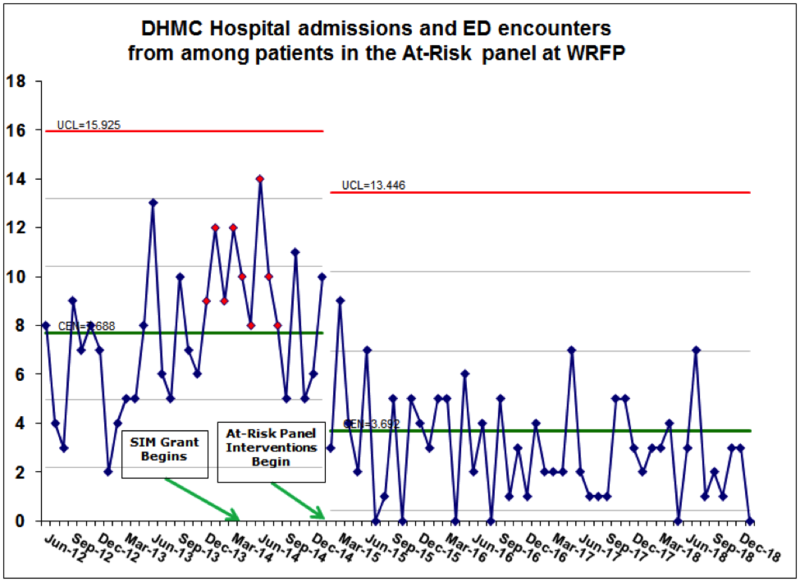 Readmissions within less than 31 days for the same patient should be rare but unfortunately they occur quite commonly. 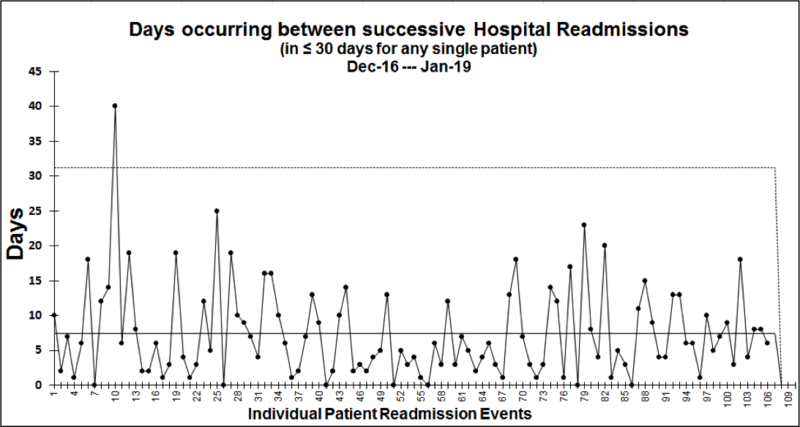 On average, only about 8 days goes by before some individual patient sustains a hospital readmission. WRFP recognizes that requiring re-admission after having been recently discharged from the hospital is a stressful and undesirable event. 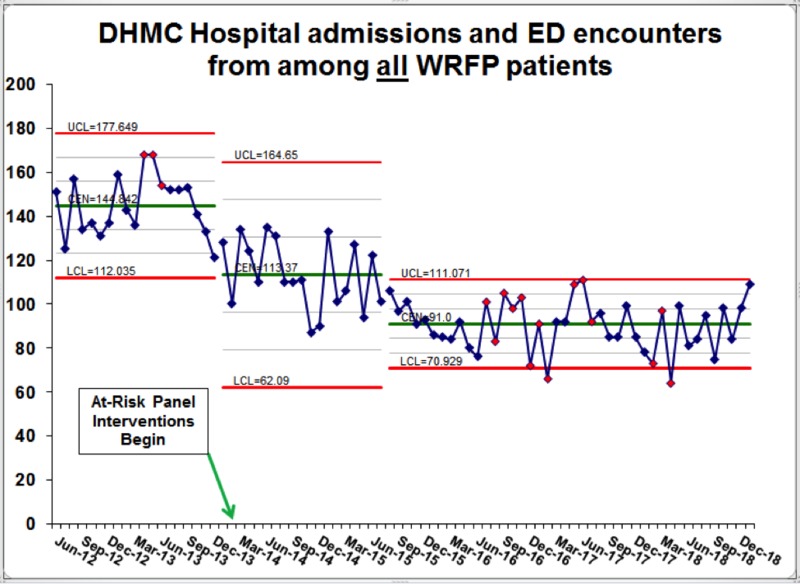 That is why it is so important that patients be fully ready for discharge before leaving the hospital. Discharged patients (and care-givers) should understand their medical problems and be confident in their ability to manage their issues with the assistance of family and other caregivers. It is also important that our patients re-establish their connection with their primary care provider here at White River Family Practice soon after leaving the hospital so that outpatient care can continue and we can together reduce the chance of needing to return to the hospital for more care. Asthma is a lung condition that inflames and narrows the airways. Patients with asthma experience shortness of breath, wheezing, and more frequent and long-lasting respiratory infections. Asthma can be chronic, seasonal, or intermittent and is very treatable. Every patient with asthma (and parents of young children with asthma) should understand how to monitor and manage this condition to minimize the need for care in an emergency room or hospital. One important tool to assist in managing asthma is an Asthma Action Plan. For children it is particularly important that a copy of the Asthma Action Plan be available to the child’s school nurse or daycare provider to manage any symptomatic worsening or flares of asthma which might occur during school or daycare activities. 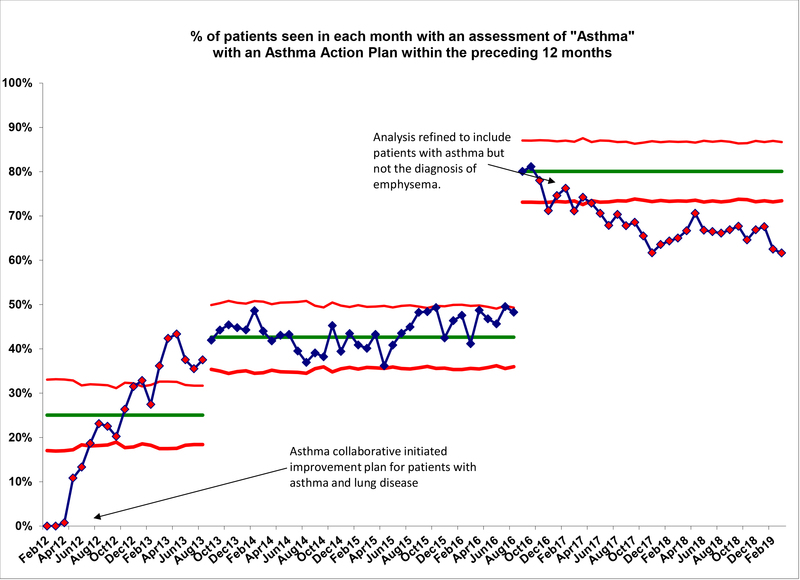 In May 2012, White River Family Practice formalized the office process used to develop an Asthma Action Plan with each patient presenting for management of this condition. Since then, we have gradually increased the likelihood that an asthmatic patient receiving primary care at White River Family Practice will have an Asthma Action Plan and know how to use it to effectively manage this condition. 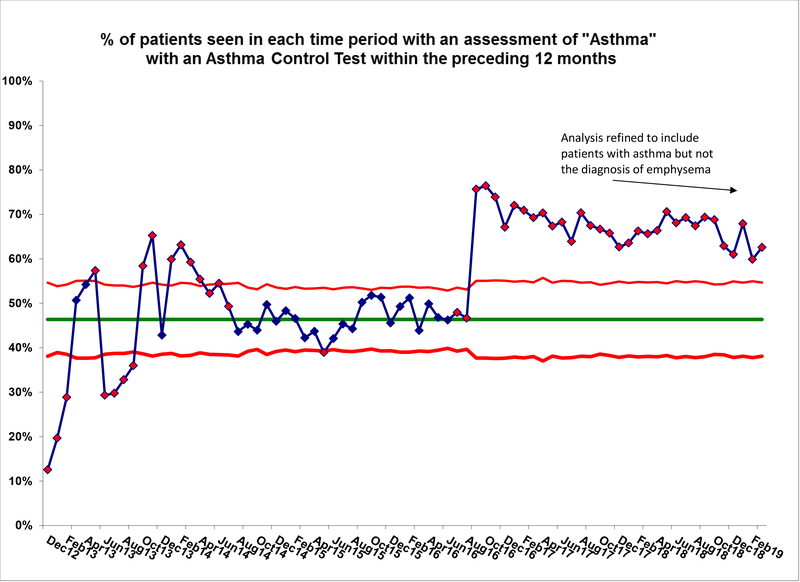 The Asthma Control Test (ACT) is a single page questionnaire White River Family Practice uses to assess the degree of control of patient’s asthma. As the practice has participated in Vermont’s Blueprint Winter Asthma Collaborative, we have broadened the indications to use an ACT during a patient’s visit. Ultimately, any patient with asthma should have an ACT at least once a year in conjunction with his or her primary care. 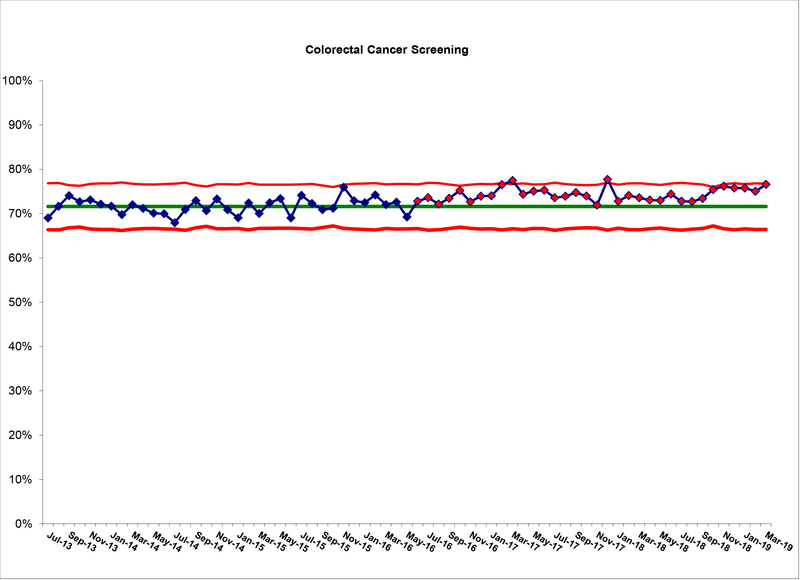 Screening for colorectal cancer reduces mortality through detection and treatment of early-stage cancer and detection and removal of dangerous polyps. Of the several methods of screening for colorectal cancer, colonoscopy continues to be the most thorough means to assure that the patient is free of potentially life-threatening but hidden disease. The United States Preventive Services Task Force currently recommends screening for colorectal cancer for all patients beginning at age 50 and continuing periodically until at least age 75. The specific means of screening and the frequency at which an individual should consider screening varies from person to person depending on specific health factors and personal risk. We encourage you to discuss this screening procedure with your primary care practitioner in the course of your visits to White River Family Practice. The American Diabetic Association’s “Standards of Medical Care in Diabetes” recommends lowering HgbA1c levels to less than 7% in most diabetic patients to reduce the incidence of vascular disease, although each patient’s specific HgbA1c target level may vary. We encourage all patients who are receiving care for diabetes at White River Family Practice to discuss their own HgbA1c values and appropriate target levels during your visits to our practice. 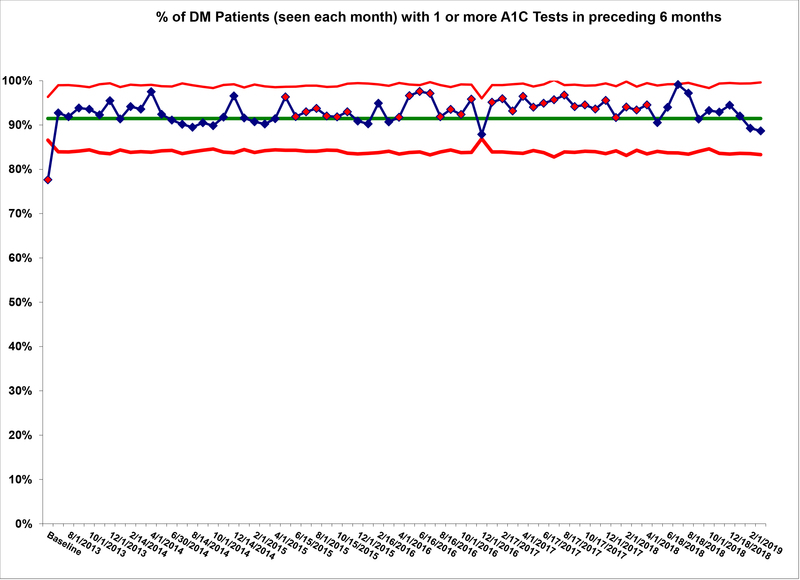 According to the American Diabetic Association, patients with diabetes who are meeting their treatment goals and who have stable blood glucose control should get their HgbA1c tested at least twice a year. 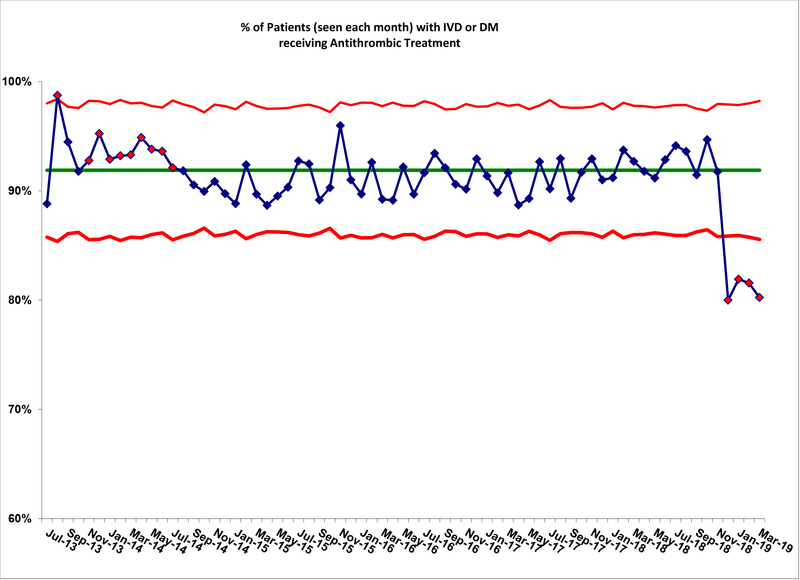 Patients whose diabetes treatment has been changed recently or who are not achieving their blood glucose targets should be tested four times a year. Provided there are no reasons not to take aspirin (such as allergy or history of intestinal bleeding), a low-dose aspirin taken daily is considered of definite and substantial benefit for those patients who have vascular disease, and may be beneficial in patients with diabetes as well. The United States Preventive Services Task Force currently recommends low-dose aspirin for prevention of heart attacks and stroke in men aged 45 to 79 and women aged 55 to 79 when the potential benefit of reducing cardiovascular disease outweighs the risk of gastrointestinal bleeding. We encourage you to discuss whether daily aspirin therapy is appropriate with your primary care practitioner in the course of your visits to White River Family Practice.